The Nike Classic Cross Back Women's Sports Bra is made from sweat-wicking fabric in a cross-back design to help keep you dry, comfortable and supported during your workout. 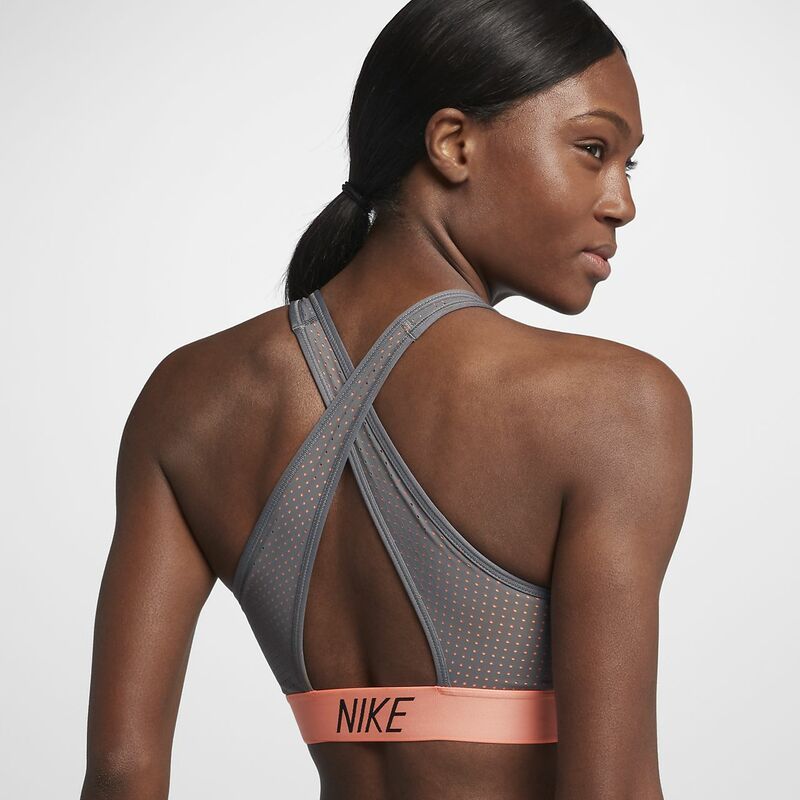 The Nike Classic Cross Back Women&apos;s Sports Bra is made from sweat-wicking fabric in a cross-back design to help keep you dry, comfortable and supported during your workout. Fabric: Body/upper front lining: 59% nylon/41% elastane. Lower back panel: 65% nylon/19% recycled polyester/16% elastane. Lining/interlining: 88% recycled polyester/12% elastane. Pad top fabric/pad back fabric: 100% polyester. Pad: 100% polyurethane. Have your say. Be the first to review the Nike Classic Cross Back.